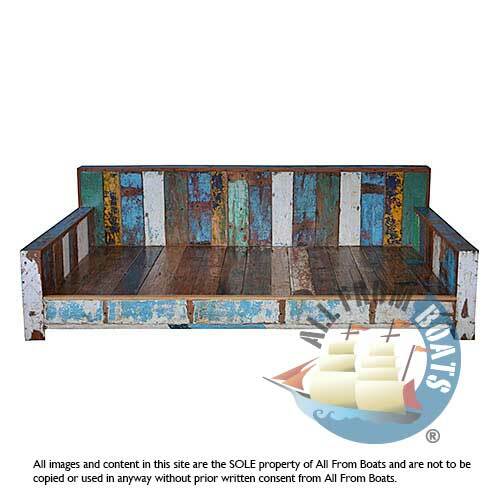 4seat Sofa Lynn, made from reclaimed boat timber. recycled, reclaimed boatwood furniture. shellac finishing. price is without cushions. cushions are available in assorted colors.